The U.S. Mint struck its first Silver Dollars in 1794, but it never struck very many until the Morgan Silver Dollar made its appearance in 1878. The reason? Well, the Spanish 'Piece of Eight' Silver Dollar was legal tender in the U.S. until 1857, and there were so many in circulation, that regular U.S. Mint Silver Dollars weren't needed. 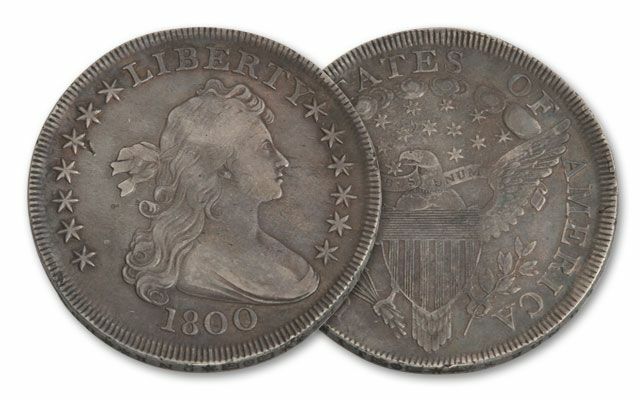 But, the mint did strike Silver Dollars early on, and we're pleased to offer you one of these classic Draped Bust Silver Dollars. 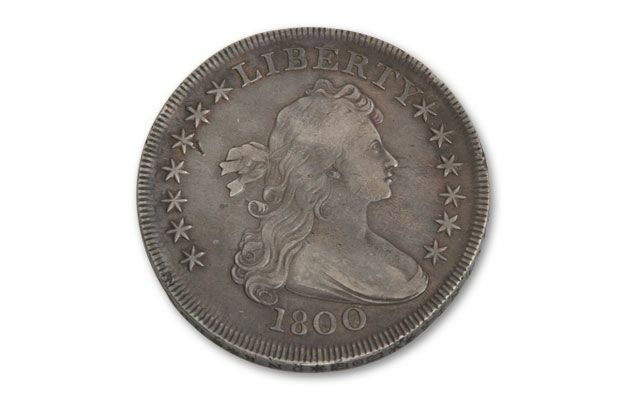 The obverse of the coin shows Miss Liberty with flowing hair, and the reverse shows the heraldic eagle from the Great Seal of the United States. 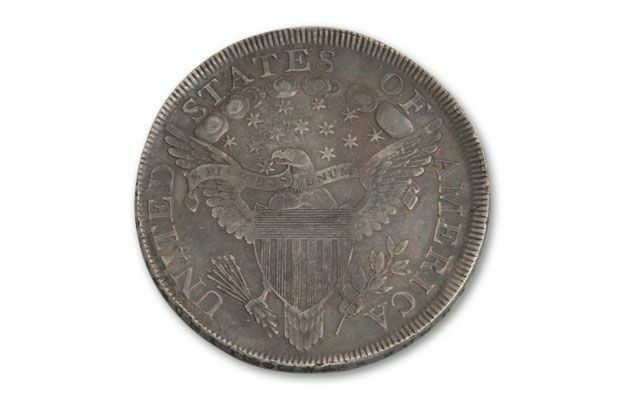 This variety of the Bust Silver Dollar with the heraldic eagle reverse was only struck between 1798 and 1804. You can secure this 1800 example graded Very Fine (VF) here today. Only 220,000 were minted that year. It's also an 'arrow' variety. A rare opportunity to own a great selection of our country's classic Silver Dollars.